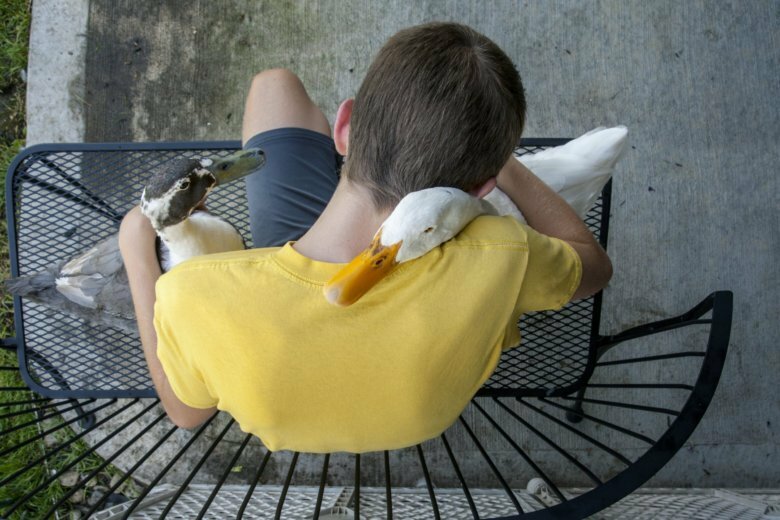 GEORGETOWN TOWNSHIP, Mich. (AP) — New guidelines will allow a 12-year-old western Michigan boy with autism to keep his ducks, which are his emotional support animals. Georgetown Township officials had issued a nuisance order to Mark and Jennifer Dyke after receiving multiple complaints from neighbors about their son’s ducks straying from their property. The complaints cited concerns about the ducks’ unpleasant smell and their impact on area property values. The Dykes requested an ordinance variance to allow their son, Dylan, to keep the ducks and members of the township’s zoning appeals board were open to the idea . A variance approved Wednesday night includes 18 guidelines, including specifics on the coop for the ducks named Bill and Nibbles.